Want to watch a terrible movie? Then dive head first into Robin Hood: The Rebellion. It’s a film so terrible that even bad movie enthusiasts will balk at what it has to offer. A sort of medieval re-telling of The Raid (it wishes), writer-director Nicholas Winter’s film is hampered by a dull script, atrocious acting and a setting which makes it seem that it was shot over a wet weekend on a building site. The Sheriff of Nottingham (James Oliver Wheatley) takes Maid Marian (Marie Everett) captive and Robin (Ben Freeman) attempts a rescue. And then Brian Blessed shows up as Friar Tuck. That’s pretty much the crux of the running time and I’ve made it much more exciting than it actually is. Most of the acting is amateur level at best and former Emmerdale actor Ben Freeman’s Robin is the least likely Hooded Man since that fox danced across the screen in the 1970s Disney version (although even he was animated). There’s a cameo from Game Of Thrones’ Hordor (Kristian Nairn) and he manages to deliver the film’s worst performance with only 30 seconds of screen time. Is it any wonder they only gave him four words to say over the entire series? 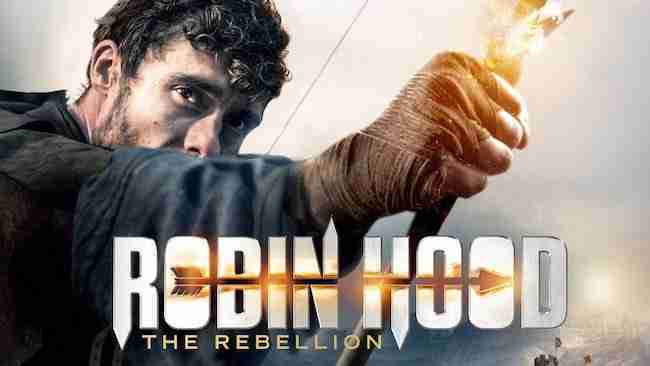 Presumably shot to cash-in on the forthcoming Otto Bathurst directed Robin Hood starring Taron Egerton, there’s nothing particularly good about any of Robin Hood: The Rebellion. The direction is point-and-shoot simple – everyone looks like they’re wearing homemade costumes and the editing seems like it was all thrown to together on iMovie in a rush. To add insult to injury the whole thing is incredibly boring. Robin Hood: The Rebellion is so bad it’ll make you want to travel back in time and and sidetrack the Lumière brothers from working on their most famous creation. In an attempt to say something nice – at least it’s relatively short. Avoid. Damon, Costner & Freeman To Join THE MAGNIFICENT SEVEN Remake?